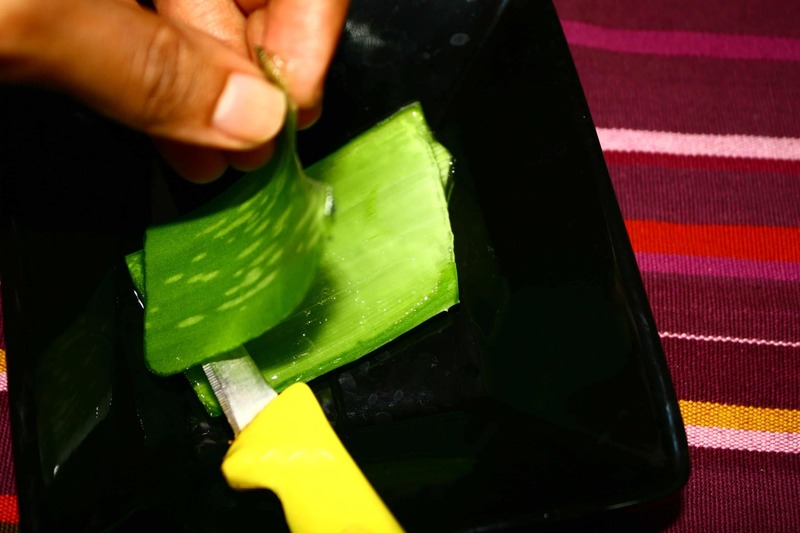 Aloe vera is an amazing herb for your hair, skin & health. I recently met a friend who is using aloe vera for hair. Ever since she started using it, her hair is getting better and better. It’s shinier and appears fuller and thicker. Over the years I have heard so many success stories of aloe for hair growth that I have lost the count. I use to be a fan of aloe vera until other herbs took my fancy. I can tell you from my own personal experience that this herb reduces hair loss, and makes hair thicker, healthier and silkier. In fact, in ayurveda, aloe vera is said to be an important remedy for baldness and thinning hair. It’s also useful for dandruff, scalp irritation and eczema. Besides, many cultures around the world have been using it to keep their hair beautiful. Aloe contains powerful antioxidants and regenerating hormones which stimulate hair follicles to produce new hair growth that is healthy and strong. Aloe vera is also moisturising and conditioning for hair. It helps to tame frizz and adds luster and manageability to hair. As many people think, aloe vera is not a cactus. It belongs to lily family and hence it is also called as lily of the desert— pretty name for aloe. In Sanskrit it’s called ghrita kumara, which literally means youth gel — as it helps with cell rejuvenation and keep you looking and feeling young. The aloe vera plant is a succulent and grows about one to two feet tall. It has no stem – just broad thick fleshy leaves, with spines along the edges. The leaves are green to grey-green in colour. And it’s within these leaves the clear gel is residing, which is what makes aloe vera a wonder herb. The gel is rich in vitamins A, C, E; minerals, amino acids for protein building, fatty acids, useful enzymes, saccharides, lignin, saponins and salicylic acids. Aloe gel has soothing and cooling properties that relieve redness and irritation, while nourishing the skin tissues. It makes a wonderful after sun remedy and provides instant relief from sunburns. Aloe vera is very nourishing for the hair — the tons of vitamins and minerals present in aloe make hair healthy and strong. Place all the ingredients in a bowl and mix well. For extra boost, you can also add a tablespoon of honey and other oils such as coconut, castor and argan. Before you apply, comb out all the knots and tangles, this way it will be much easier to use. Start with damp hair. Apply the mixture on your scalp and hair, work in sections to cover the entire scalp. Massage your scalp and hair for 4-5 minutes and let it sit for an hour or so. Next wash your hair as usual (try homemade egg shampoo) and let your hair dry naturally. You can use aloe vera straight from the plant. Make sure your aloe plant is of right variety – aloe vera barbadensis miller. You can also buy aloe vera from the store. When buying, check whether it contains more than 99% aloe vera. Aloe gel is often mixed with water and other fillers to increase the bulk, so beware. You can buy aloe vera gel such as this one. Everyone’s hair is different, so we all can’t use aloe vera the same way. If you have oily hair, you can use aloe vera straight on your scalp and hair and it will work nicely to moisturise your hair, and its cleansing action will get rid of excess oils and dead skin cells from the scalp. If you have a dry hair/scalp don’t use aloe vera on it’s own. This is because aloe vera has cooling and astringent properties and it can make your hair further dry. So if you want to avail the goodness of aloe vera, then combine it with some natural oils or floral water (such as rose). Aloe vera may or may not work for sensitive skin. Do a patch test before using. With a pH of around 6 – which is same as our hair – aloe vera works great as leave-in conditioner. Use this spray to moisturise and nourish your hair. This all natural spray will tame fly-away and frizzy hair and make your hair fuller and healthier. It also aids in detangling and create a smooth shine. Simply pour all the ingredients in a spray bottle (I prefer glass bottles). Shake well before use. * You can replace argan oil with any other lighter oils such as grapeseed, almond, jojoba, and sunflower oil. How to use: Spray it on damp or dry hair, focusing on dry, frizzy areas. Try and avoid the roots, as it can make your hair greasy. If your scalp is itchy and flaky due to fungus, aloe vera can help a great deal. It has antibacterial and antifungal properties to fight the fungus, and aloes enzymes can rid the scalp of dead cells. To make aloe dandruff treatment, simply mix a tablespoon of aloe vera juice with a teaspoon of honey and coconut oil and apply to your scalp. Leave it on for 30 to 60 minutes then rinse off with cool water. You can also add 4 to 5 drops of tea tree oil to the mix. But if you dandruff is due to dry skin or shampoo allergy, aloe vera may not do much to cure it. The essential vitamins and mineral present in the Aloe Vera gel improves skin elasticity and makes your skin soft, supple and younger looking. Apply to your skin for a couple of weeks and see the difference. Not only will your complexion even out and dark spots fade, but your skin will look more hydrated, firm, and radiant overall. Aloe vera face mask: take 1 tablespoon of aloe vera gel, 1 tablespoon grated cucumber and 1 tablespoon honey, and mix well. Apply on your face and neck and let it sit for 15 to 20 minutes, then wash off with water. Aloe vera as a facial moisturiser: Take a teaspoon of aloe vera in palm of your hands, apply all over your face and neck. Then follow it up with few drops of almond or argan oil. This quick and easy formula will leave your skin glowing. 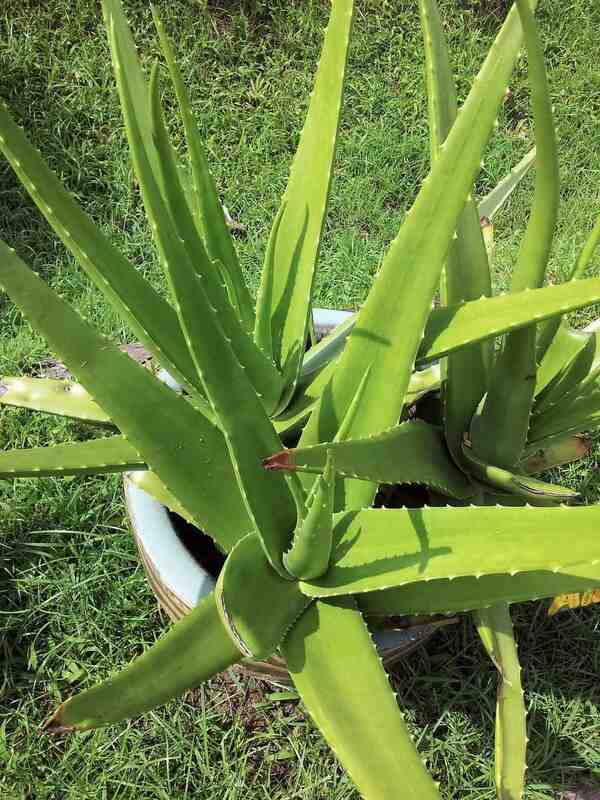 You can also use aloe vera to treat mild burns, sunburns, and acne. Note: Aloe vera is all natural but it has its limitations. If you have a sensitive skin, do a patch test before using aloe vera, as it may cause skin irritation. Drinking aloe vera is not a modern invention. It has a long history of being used as a health tonic and digestive aid in many cultures. Here are some very good reasons for you to include Aloe vera juice in your diet. What does that mean? To be able to function well our body needs to be around 70% alkaline and 30% acid. But today’s hectic lifestyle, stress, pollution, eating junk foods, and can make our body acidic. And if tissues are too acidic, then it can cause host of health problems. To name a few: acidity, fatigue, dull skin, accelerated aging, repeated cold and cough, inflammation and demineralization (loss of the body’s mineral stores). And acidic body is also bad news for your hair. Because if your body is too acidic, minerals that are needed for healthy hair, such as iron, magnesium, calcium, phosphorus, and zinc, are taken from the hair follicles to buffer this acidity. Plus, excess acidic environment can also can cause inflammation of hair follicles (folliculitis), therefore causing hair thinning or hair loss. Drink 2 to 3 teaspoon of Aloe vera juice to restore the balance; you will immediately feel the difference. Couple of years back my sister was visiting us and she had really bad acidity. I gave her some aloe vera gel from my plant and within 10 minutes her acidity was gone. She was completely flabbergasted by the quick relief. So yes, aloe vera can bring quick relief from acidity, stomach upsets as well as restore normal digestion. Aloe vera is anti-inflammatory and it is shown to benefit people from stomach ulcers and IBS. It also lessens yeast formation, encourages healthy gut bacteria and regularize bowel movement. A healthy digestive tract is very important as it is where all the nutrients are absorbed — from the food we eat. Aloe vera juice is said to be one of the best body cleansers, cleaning waste matter from the stomach, digestive tract, liver, and kidney. The gelatinous juice of aloe vera absorbs toxins and helps to cleanse the body. Aloe vera also seems to be excellent at regulating the immune system. Other benefits of drinking aloe vera juice: It helps control blood sugar, aids weight loss, increases energy production, lowers blood cholesterol, improves liver function and improves overall healthy and well-being. Ayurveda calls it a rasayana or tonic – it keeps the body young and disease free because of its strong cell rejuvenation properties. Take 2-3 teaspoons aloe vera juice every other day. It’s best taken first thing in the morning or you can also take it just before your meals. So basically empty stomach works the best. Drinking too much will not be of any benefit and it is not advised as it can cause unwanted effects like diarrhea and increase in vata dosha (makes body dry). So even though it does contain tons of benefits, don’t go overboard. Note: Pregnant women and children under five should not take aloe vera internally. And it is best to consult with your doctor before starting any long term herbal remedy. Buying Tip: Always buy pure aloe vera juice which is free from additives such as water, fragrance or colour – although some preservative will be needed to keep it good. (This is a good aloe vera juice ). Making your own aloe vera juice: If you have got aloe vera in your garden, you can make your own aloe juice. Here’s a step by step instructions on how to make aloe vera juice. Are you a aloe vera fan? How do you use this wonder herb? I am using the gel you suggested (nature sense aloe Vera gel) for skin and hair. I dab a tiny a portion on my face every night. I mix a tsp of this gel with little mild shampoo (nature gate) and use for head bath. This gel is good.Nature Gate shampoo lathers even though it states that it’s sulfate n paraben free. Can you suggest other mild shampoos that are better than nature gate? Is it ok to use Dr bronners liquid Castile soap? If so how do I use it with aloe Vera? I am also interested in making Aloe hair oil at home. Can you please give a good Ayurvedic recipe that I can easily make at home? I can purchase fresh aloe Vera leaves from my local grocery store. Dear V, you can add aloe vera to the curry leaves hair oil recipe. You can use liquid castile soap, but it may leave residue on your hair, at least it does for me. See how it works for you. I found ‘lilly of the desert’ aloe vera gel (has carrageenan,pottassium sorbate and citric acid are these safe) and juice at my local store.I am wondering which is best to use for hair masks. Hello V, I have my doubts for carrageenan, rest is fine. Thanks for the reply, What about Xantham and Ascorbic acid? Are these safe to use on skin and hair.I found these ingredients along with potassium sorbate and citric acid on natur sense organic aloe vera gel …thinking of purchasing this. You can mix it with little coconut oil and use on your bald edges. Thanks minaz…. I have got dry hair.. and u helped me a lot…. Do you use homegrown aloe vera or shop brought? Hi Jennifer, you can add just a couple of drops of olive oil or almond oil. And if that is still too much use 2-3 drops of lavender or rosemary essential oil or both. I had recently received a mail about hair mask for faster hair growth about fenugreek seeds and yoghurt which I deleted by mistake, can u please resend it. Yes, just use the aloe vera. Hi Minaz. May I put the aloe jel in freez for the next use. And is it work as before? Hi Shakhena, yes you can do that. Hi Minaz, I’ve been using aloe vera juice in my DIY hair care recipes for a while. I’ve recently begun to spritz with the aloe juice to rehydrate when twisting. My question is can you interchange juice and gel? Hi Donnamarie, Yes you can. I use aloe vera on my face and it works wonder. I mix small amount of aloe gel with rosehip oil and massage on my face. It gives nice fresh feel. hi! After i put the aloe vera gel on my hair and it dries, it becomes like flakes and are very hard to rinse. Have you experienced that? Do you know a solution? Thanks! If your hair is on dry side, use it along with some oil. I have experienced flakes but they always wash out easily – my hair is oily. And if you are using a store bought aloe gel, check the quality and also other people’s review if they have experienced the same thing. I looove aloe vera! Thanks for some good ideas!